Here’s a product I always recommend to prospective parents. I’ve had my Ergo carrier for years and still use it when we are walking on holiday even though my youngest is now four. This latest incarnation looks even more impressive. It’s almost four years since Babyology first reported on the Ergo baby carrier and we still think it’s one of the best carriers on the market – it really is so comfortable to use and seems to make your child a lot, lot lighter than they really are! 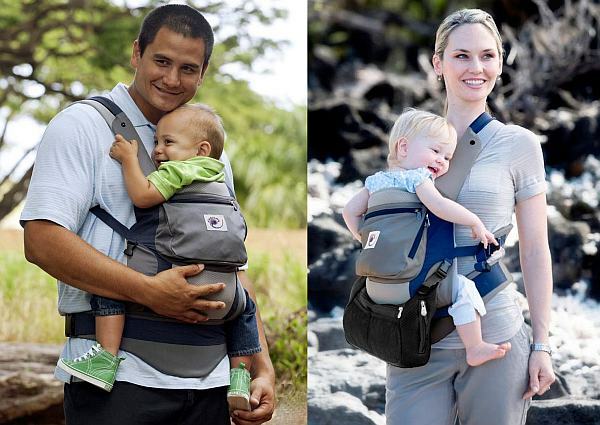 ERGObaby is a family-owned Hawaiian company and has just released a new version of this respected ergonomic baby sling. The Performance Carrier is one third lighter than the standard carrier and made from fabric that’s durable, lightweight and breathable. 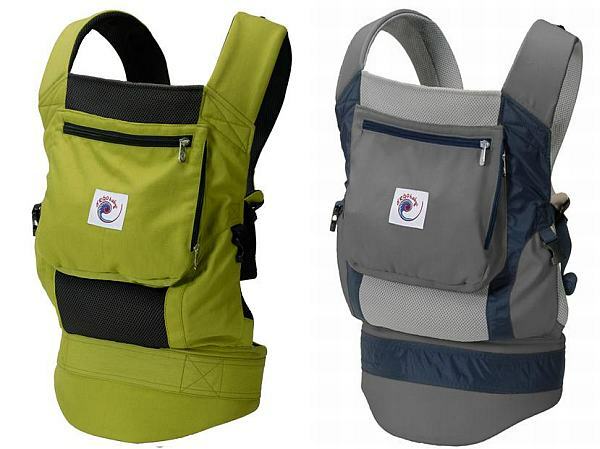 It’s been designed specifically for outdoor activities in all climates and has a mesh lining to keep babies and parents cooler – sounds ideal for our hot summers! Apparently, it’s so light and quick-drying you can even take it in water. Available in grey or a rather fetching spring green, it still boasts the special extras I love like the attached sleeping hood which stores in a zippered pocket. You can also accessorise your carrier with a cargo pack and even a rear-view mirror! So if you’re thinking of investing in a new carrier, this one is definitely worth a look. Get it direct with free shipping from Babes in Arms for $199.